Aw, be still my heart! Photographers love their camera bags and Alessandro Della Bella is no exception. 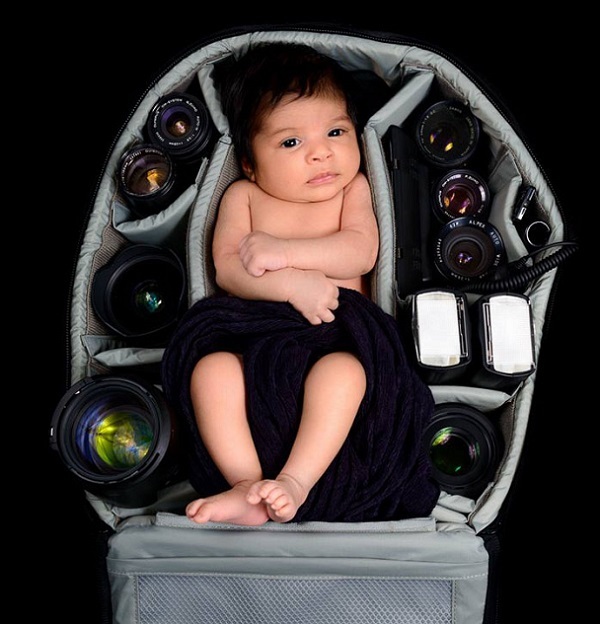 So, when his baby son was born, he cleverly announced the birth by taking a picture of the little cutie sleeping in his beloved camera bag, snug between the lenses. Many other brilliant photographers had done it too. It’s like a token of their dual responsibilities. I love that! Don’t you? P.P.S: New mama and baby gift guide. 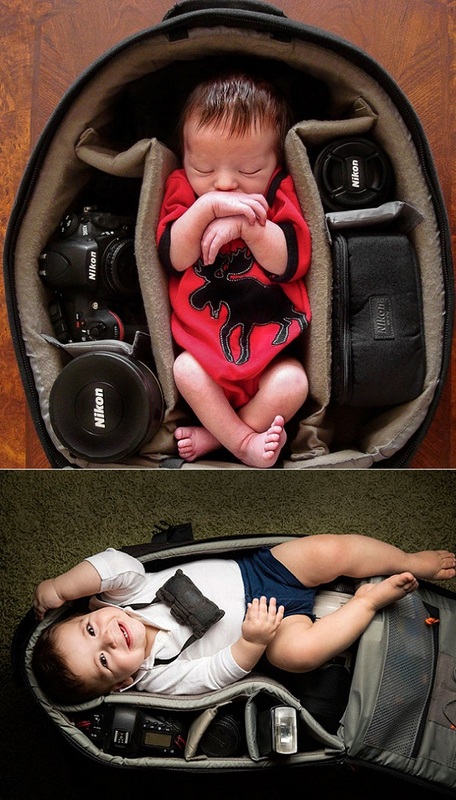 Aww, future photographers in the making. So cute!